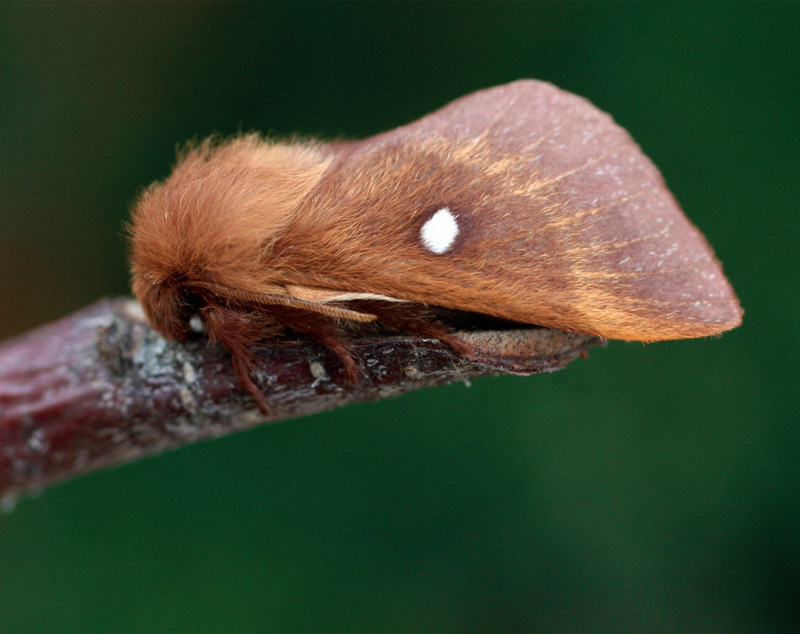 The Eastern Eggar moth males are smaller, more reddish, and have feathery (pinnate) antennae and a very hairy end to the abdomen. Females are larger, brown, and have a tuft of grey hairs on the end oft he abdomen which is used to cover the eggs after laying. The adult moths ﬂy at night. The eggs over-winter covered with the hairs from the abdomen of the female, and hatch in April. The caterpillars live in nests protected by a silk cover, on bushes of hawthorn, blackthorn, wild rose, dwarf almond, etc. ,and pupate after 4-5 weeks of feeding. 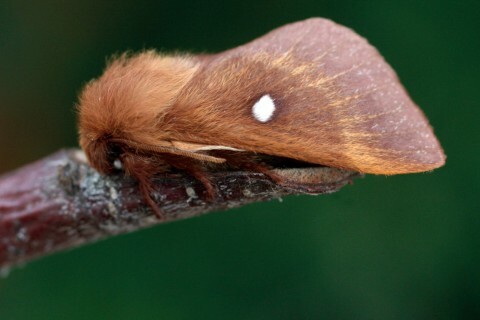 In Central Europe the Eastern Eggar is a very rare species threatened with extinction, but strong populations remain in the hilly regions of Transylvania. The species is threatened by excessive cleaning of grasslands, burning of vegetation, and modiﬁcation or destruction of the habitat.